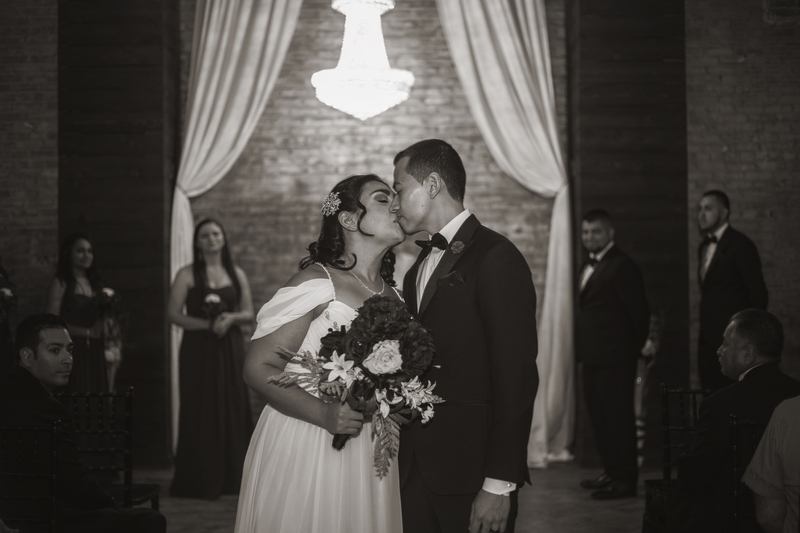 During a warm, sunny day on July 14th of 2018, Savannah and Justin were wed at the lovely Bernhardt Winery in Plantersville, Texas. Skys the Limit Production provided photos for the couple throughout the day. 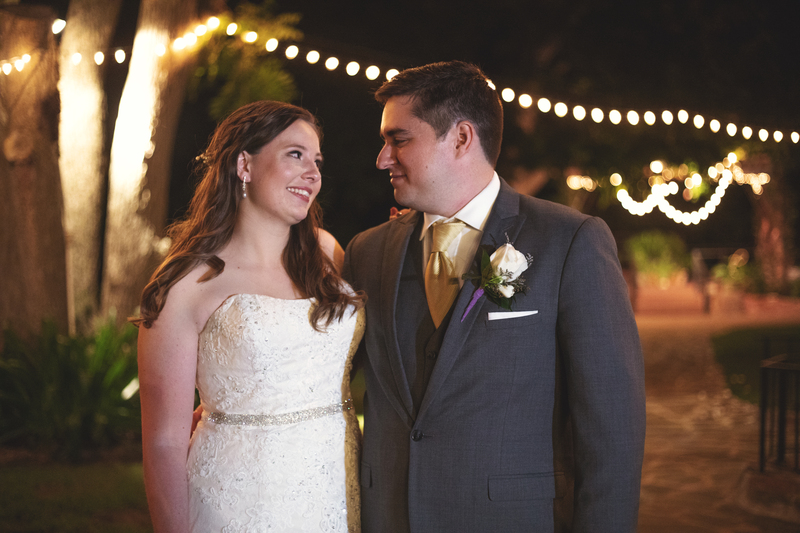 The couple met through the Groom’s mother, who happened to work alongside Savannah at Sam Houston State University. Seeing a potential match for her son, she asked Savannah to dog-sit while she was out of town for the holidays, thus giving ample opportunity for Justin and Savannah to meet. After famously hitting it off, Savannah and Justin’s relationship grew. The following year, Justin’s sister, Lauren, gifted them with plane tickets for Christmas. The tickets were for them to come visit her and her family who was currently residing in Paris, France. In July the next year, the couple traveled to France, reaching Bastille Bay. That evening at Mel’s (Lauren’s friend) apartment they enjoyed dinner and awaited the fireworks. The apartment looked out into the city, the Eiffel Tower in plain sight, and the ancient City of Love itself made for a very romantic setting. After Mel’s careful urging, the couple were led upstairs to the secondary terrace on the rooftop to better see the fireworks. Just as quickly as she ushered them, Mel was gone saying she had forgotten something in the oven. The two were alone, the Eiffel Tower lit up purple and gold, the setting sun creating a perfect backdrop. The couple talked for a few moments until Savannah sensed a change. Before she knew it, in this beautiful city, on a rooftop terrace in the evening, with he Eiffel Tower looming over them, Justin proposed. Having said yes, the couple came down and announced their future plans over champagne and fireworks. On the day of their wedding, Savannah and her bridesmaids bustled around getting ready whilst plucking fruits from the spread on the table. The air was warm and everything seemed to be abuzz, including the birds. The venue, being a winery, had it’s own beautiful, rustic feel. Vines lovingly encased around the building, cutting into the staircase leading to the Bride’s Party. While the Groom’s party was down taking pictures, the girls enjoyed the cool air and finished up the final touches on the Bride. The ceremony was held outside, the crowd patiently waited, the warm breeze giving comfort from the heat. Justin stood at the alter, wearing a soft grey suit with a warm honey colored tie, his hair combed perfectly. His eyes were bright with anticipation as he saw the time for Savannah to walk down the aisle was near. Out from the swanky glass doors the Bride emerges. Huge wedding bells to her left rang out announcing her presence. The dress she wore swayed gently behind her as she walked, her hair curled and pinned in a some up, some down, style, truly embodying a princess. Her smile was more brilliant than the sun. They recited their vows proudly for their loved ones. After, the ceremony commenced. Everyone was buzzing with laughter. The crowd quickly got into the mood to dance and from there it was off. The crowd danced merrily, singing along to songs being played around them. It was in every essence fun and lively. As the crowd gathered to see the couple off, sparklers were being lit. Justin and Savannah arrived in the doorway ready to go off into the night as Mr. & Mrs. The crowd created a sparkling path for the two, shouting loving words and wishes for the newlyweds. Finishing make up touches for the Bride. Photo taken by Skys the Limit Production of the Wedding Dress at Bernhardt Winery in Plantersville, Texas. The ring bear with bouquet at the Bernhardt Winery in Plantersville, Texas. The Bride’s dress along with the bridesmaid’s gowns at the Bernhardt Winery in Plantersville. Wedding couple underneath the lights at night at the Bernhardt winery in plantersville texas. Groom and his mother giving each other a kiss before he says I do. Detail shot of the Bride’s earrings, shoes, flowers, purple robe, hair piece and something sentimental. Bride and Bridesmaids Purple Robes at the Bernhardt Winrey in Plantersville, Texas. Bride and Groom holding hands at the Bernhardt Winery in Plantersville, Texas. Ring photo taken by skys the limit production on top of a wine barrel with purple and white flower petals around.